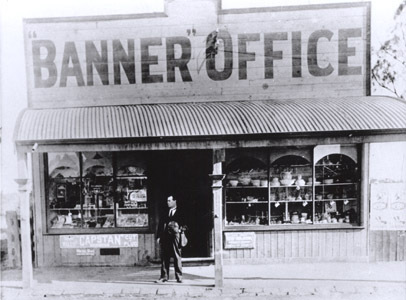 Photograph of Mr Henry Barnes outside the 'Banner' office. 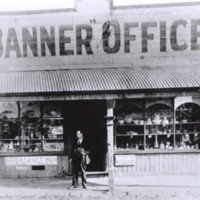 The original Banner office was established in 1902. Mr Henry Barnes died on 21 June 1915. 1896 — The first local newspaper, The Werribee Express, hits the streets. It is published out of Bacchus Marsh.